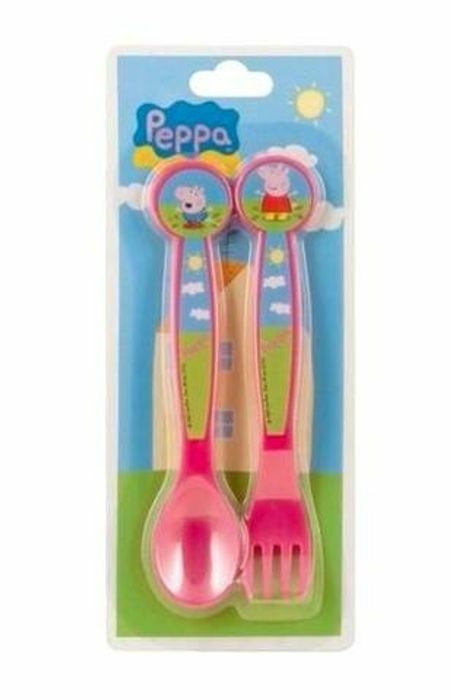 ﻿The Peppa Pig Cutlery Set contains a spoon and fork, making dinnertime extra special with a slice of Peppa and the gang. Great for helping young Peppa Pig fans develop their hand to mouth coordination. Each piece of cutlery features a cute Peppa design, with George and Peppa in puddles. What do you think of this PoundToy deal?